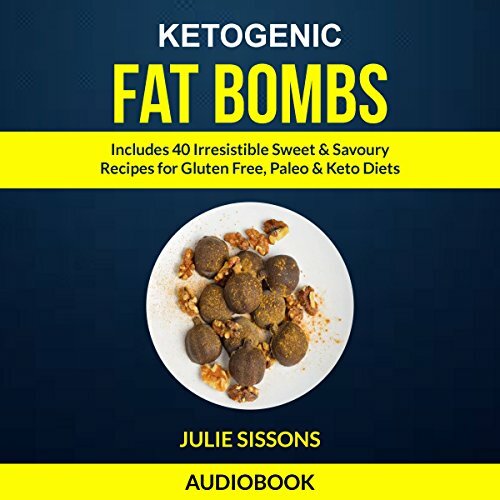 Burn fat, lose weight, and increase energy levels with these delicious and nutritious ketogenic fat bombs! The ketogenic diet is the fastest way to lose weight guaranteed! Hungry for a snack in between meals but not sure of what's healthy? This audiobook will solve that problem. Fat bombs normally are made from an assortment of ingredients that allow for an instant bodily energy boost. Undesirable fats aren’t added to your storage, as the fat is almost instantly used to create energy for the body. Being rich in nutrients, fat bombs are great for when you need an instant energy hit! These tasty little energy nuggets are packed full of flavor and will help you through your day. They are perfect as a snack before or after a workout or to help you work through that midday slump. These were originally thought up to help people on a low-carb or ketogenic diet as a snack to help them through the day. Since they a full of fats and proteins and pretty much absent of carbs, they are perfect for anybody. So let's start trimming off that weight right away! Enjoy these fantastic fat bombs as a ketogenic dessert or power snack!